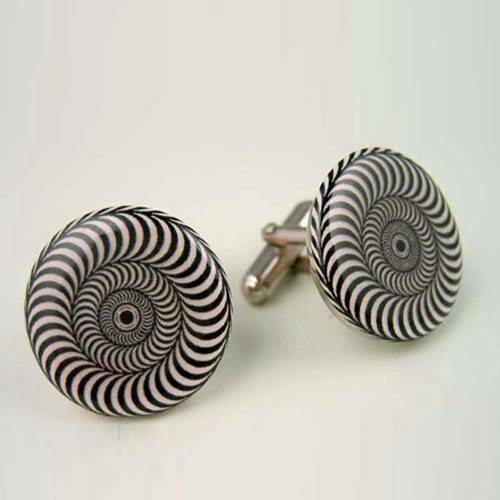 Circular, white ceramic and metal nickel plated cufflinks with black and white image on the surface are just one example of the bespoke work we provide. We create beautiful cuff links that are fully customisable with company logos and brand images. A subtle yet powerful way to communicate brand awareness and foster unity within your company.